This control is not only good for Windows Form Applications, but also usable in WPF Applications. 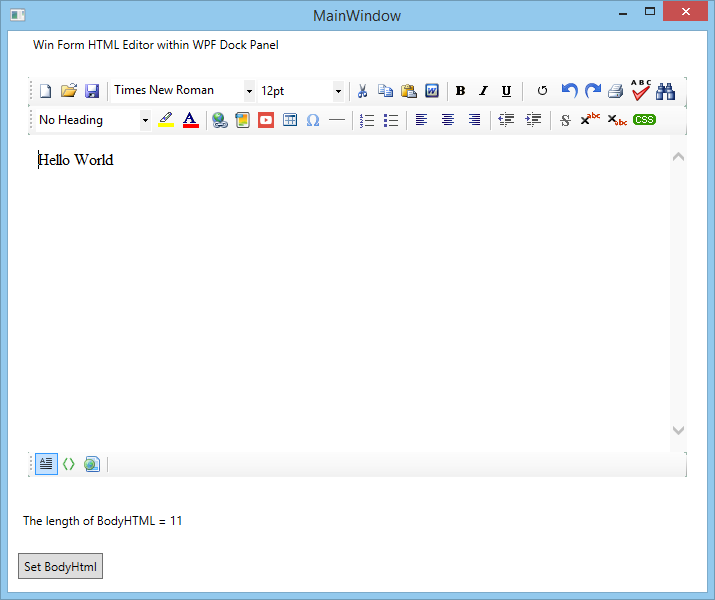 First, we recommend to check our dedicated WPF Html Editor control for using in WPF Application. But, if you still want to use the WinForm version in WPF, you can do that too. 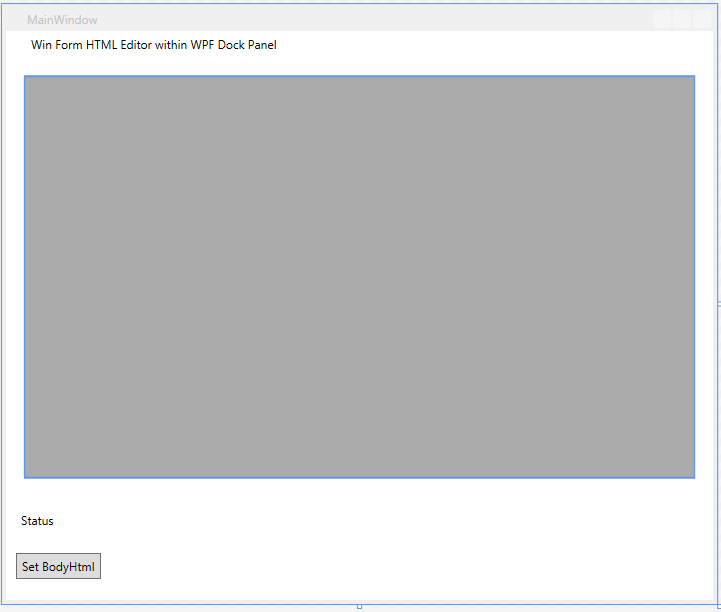 In order to use this editor in WPF, you can use WindowsFormsHost element within WPF. We have already provided a sample WPF application in the Sample projects folder that you can easily find from the downloaded package. Anyway, here is a sample XAML code. In the Windows Loaded event, you should call the focus method for combo boxes in order to get rid of the pre selections in combo boxes.